About: Rachel Toomim is the acupuncturist that doctors and other practitioners go to, for acupuncture treatment and to learn about acupuncture. Through many years of ongoing studies with the world's greatest acupuncture scholar, Tran Viet Dzung MD, Rachel Toomim has advanced training and experience in the following specialties: Addictions/Behavioral Health, Cardiology, Endocrinology, Gastroenterology, Immunology, Neurology, Nephrology, Otorhinolaryngology (ear,nose,throat), Opthalmology, Pulmonology and Rheumatology. Knowledge and Experience make the Difference. Over twenty-five years of clinical experience, coupled with advanced studies, which merge acupuncture theory with understandings from modern medicine, allow Dr. Toomim to provide a results-oriented treatment plan and to better integrate treatment provided by your doctor and other practitioners. In practice for over 25 years. Known as a leader, scholar and results-oriented practitioner. 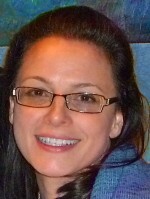 Elected to three national acupuncture boards. Teaches throughout the country. Continues ongoing studies with world's foremost scholar in acupuncture, allowing for better integration of treatment between acupuncture and other care providers. 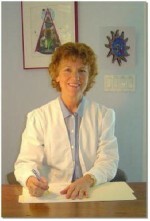 About: All Natural Healing Medical Center in Sarasota. We are a very unique holistic center, in that we provide acupuncture, prolopuncture, biopuncture, chiropractic, weight loss, rehabilitation, and massage therapy under one roof. Business Name: Harmony Health & Healing Inc.
About: Acupuncture Physician and Psychologist, Dr. Brenda has degrees from Univeristy of Massachusetts, Tufts University, Boston University, and the EAst West College of Natural Medicine. An invidual healing and wellness plan will be provided to each patient integrating the whole body philosophy of health. 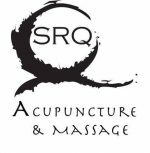 About: SRQAcupuncture is a premier resource for complementary and alternative health located in Sarasota, FL. Our integrative approach to health and healing focuses simultaneously on relieving symptoms as well as unraveling the root cause of an ailment. Acupuncture benefits include acute and chronic pain, migraines, infertility, stress management, mental & emotional wellbeing, as well as undiagnosed and misunderstood ailments. We provide Blood analysis through Genovia Diagnostics and Alcat. We Coach our patients through nutritional guidance to achieving their optimal health. We are also passionate about women's health, pregnancy, and birthing. We also offer acupuncture allergies using NAET. About: Dr. Diane Oliva, AP is a board certified Acupuncture Physician who treats mind, body and spirit in a safe, effective, relaxing environment using Acupuncture, Traditional Chinese Medicine, Herbs, Sound, Color and various other holistic techniques. Come experience her unique treatments. Consultations are free. Call to book an appointment today 941-313-6123.